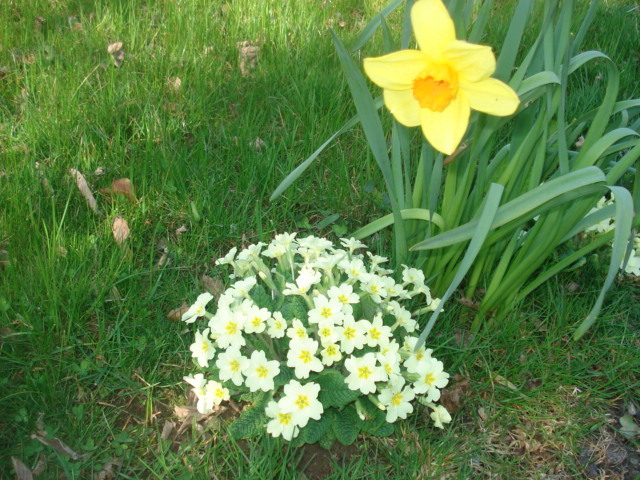 We had read about it, so we thought we would give it a try – “No dig” gardening. What is that you ask? Well the idea is that you cover the ground around the plants you want and it stops the weeds coming up, therefore you don’t need to dig them out. We understand it can take a couple of years for the weeds to completely stop coming up but we thought we would give it a go. So we started with the potatoes. We laid cardboard across the ground and Neil made holes through the cardboard into the earth. 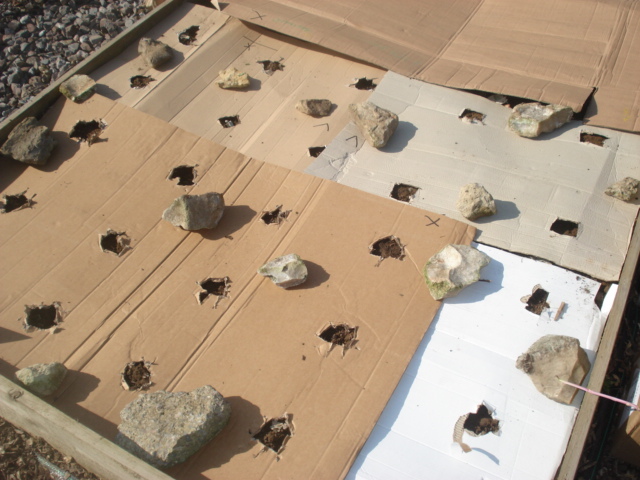 I followed up by planting a potato into each hole and then we covered with the cardboard. The idea being that each potato will grow through the hole in the cardboard, but the weeds won’t be able to. We then did the same with the onions. We got the cardboard from our local convenience shop. He would only put the packaging into recycling so we are recycling a different way. I took the opportunity to have a look round the garden at what else is growing. 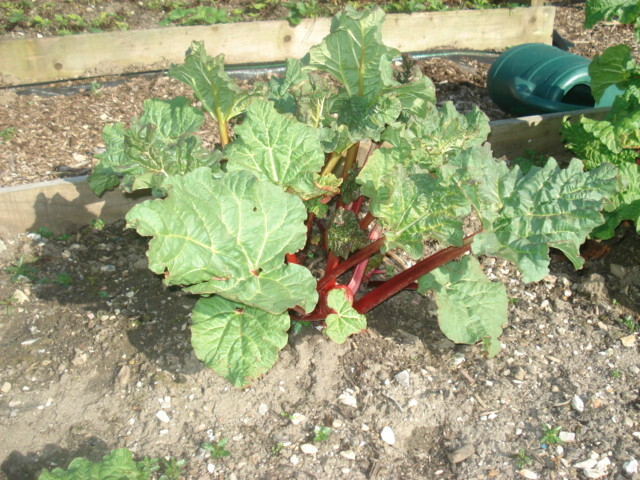 The rhubarb is coming along fantastically and we will be able to pick from it soon. 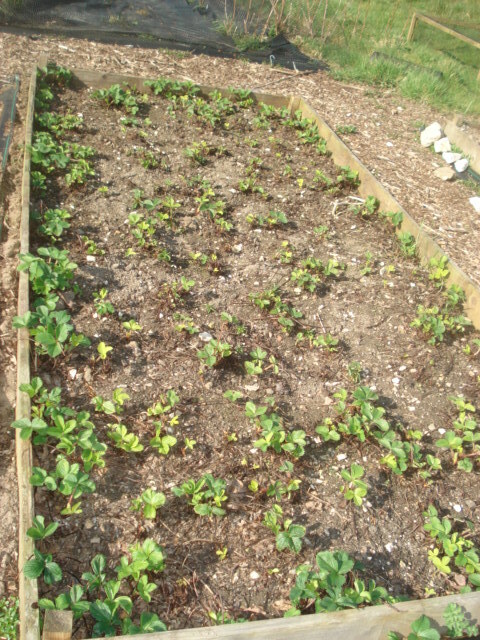 Where I had pulled up all the dead strawberry leaves and exposed the new little plants coming up, they are doing well, still small but growing new leaves. 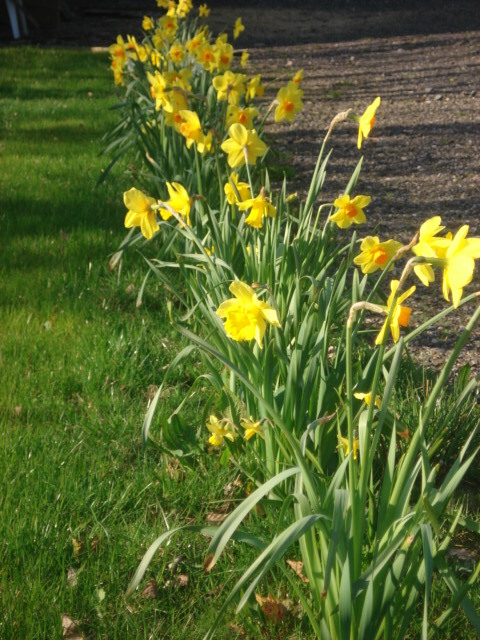 I had created a border of daffs, narcissus and primroses around one of the lawns. These have finally come into full bloom and are looking lovely now. 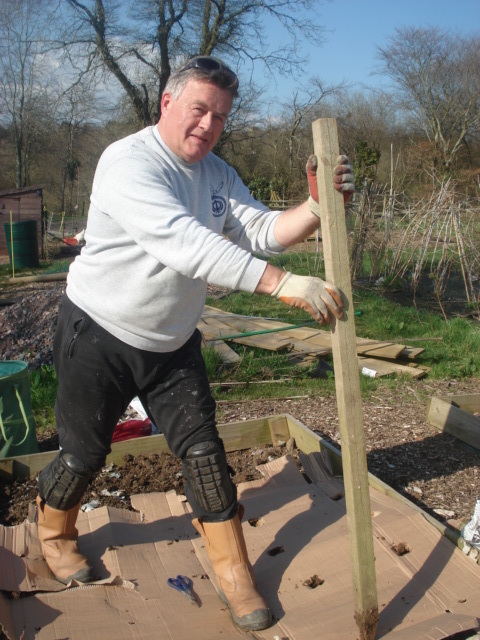 It’s nice to have a dry day to get some jobs done in the garden. 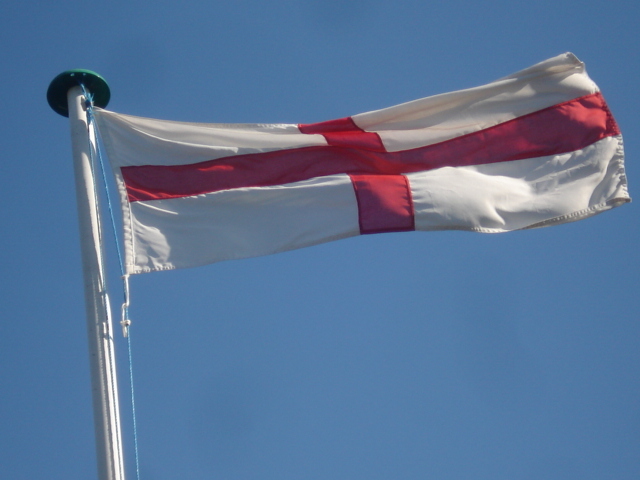 Saturday was glorious with sunshine but today it is more cloudy, but still a good working day. 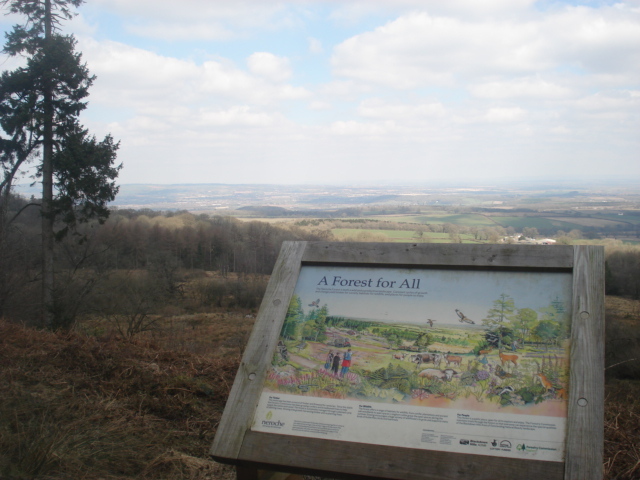 On Sunday, being a reasonably pleasant day we took ourselves up to Staple Hill for our favourite walk. The trees always provide a great subject for photos. 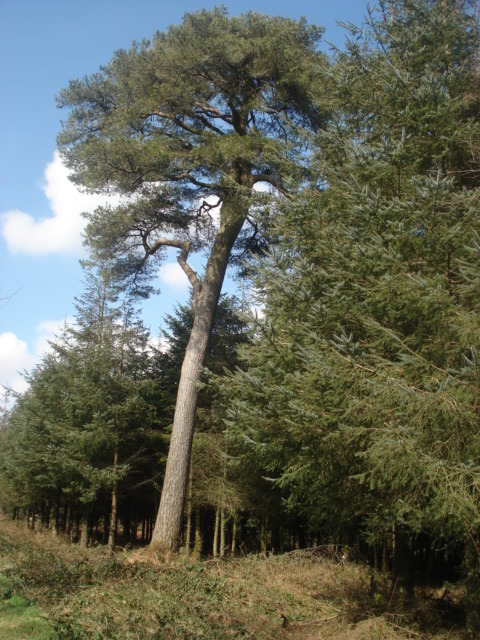 There was one tree that had grown higher than the others and slightly to one side. 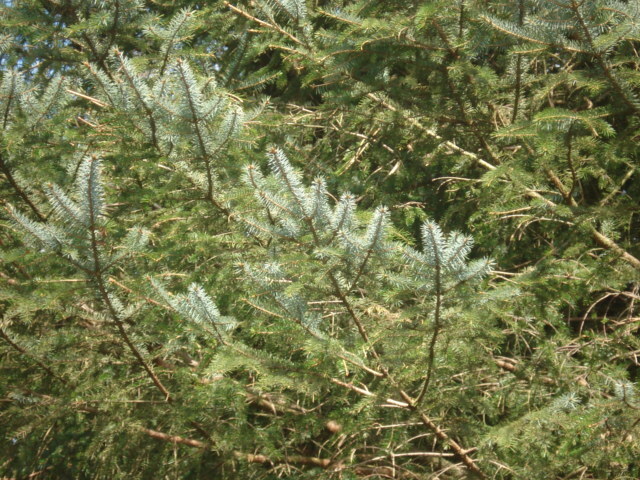 We could also see all the new growth on the pine trees; the ends all being lighter in colour than the previous growth. On one side of the loop walk you get fabulous views right over to Wales. 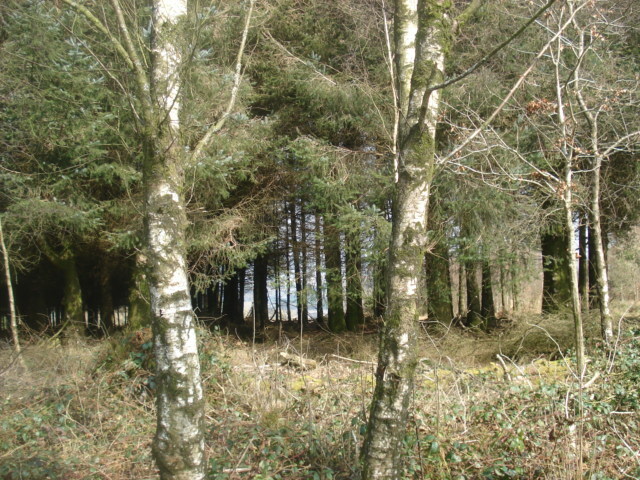 The land is managed by Neroche and here is a sign they put up acclaiming the woods are for everyone. 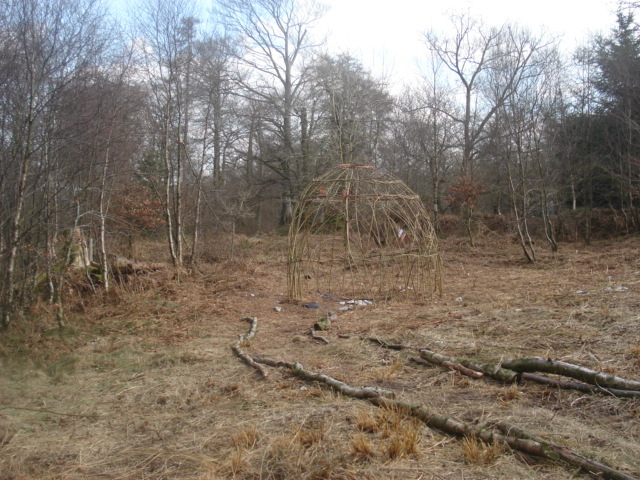 As we rounded the corner we saw some people had built a structure like a dome shelter out of saplings. 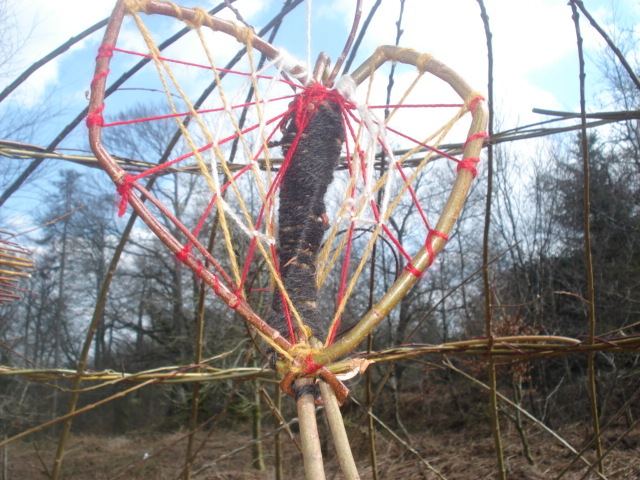 Inside were some mysterious hangings, one like a butterfly and one like a dreamcatcher. We wondered who had built it and why but there was no sign and no one to ask. 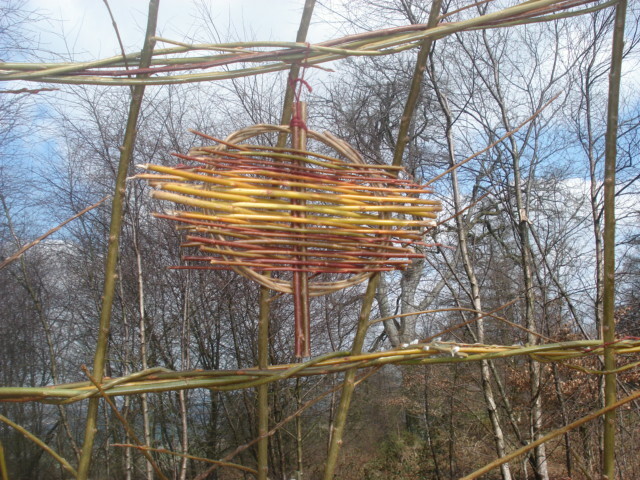 I rather liked the fact that someone had been creative in the woods. 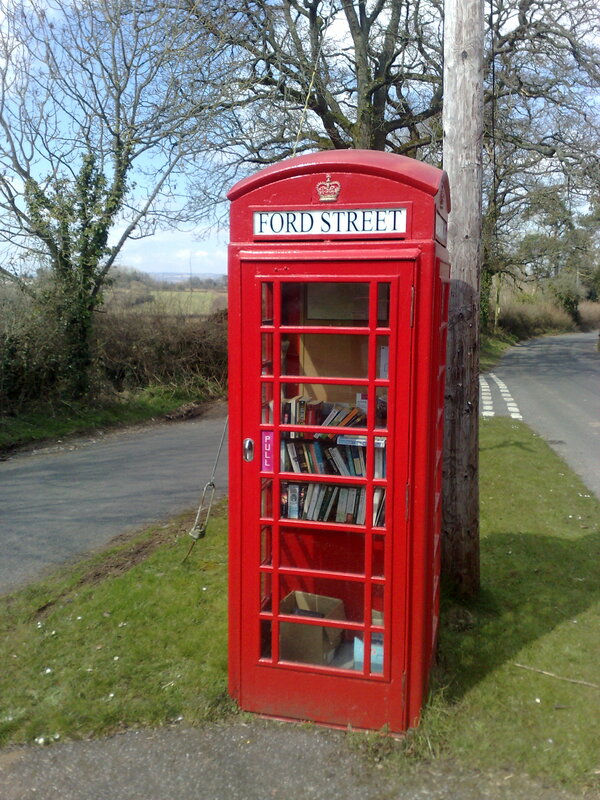 Yesterday we were travelling to Wellington when we drove through a village called “Ford Street” and there on a patch of grass by the road was a telephone box that had been turned into a lending library. The telephone box was now completely redundant as a phone box as land lines and mobile phones are so freely available. The library was operated on a honesty basis, with books on the shelves where previously the telephone had stood, and people were able to come and go freely and pick up or return a book. There was quite a selection for a small space. 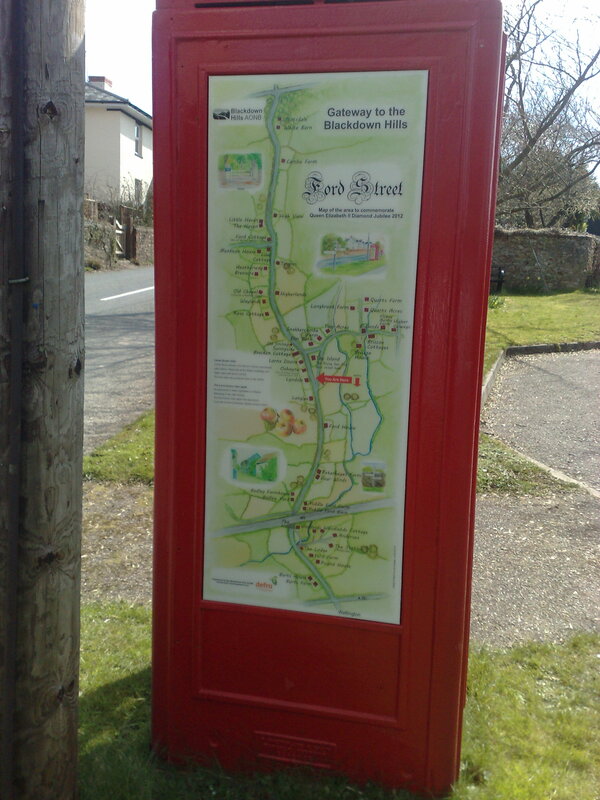 There was also a notice board where information on local events could be displayed and on the outside of the box an information map of the area. What a brilliant use of a redundant phone box and creating a village amenity to boot. Some old phone boxes have been sold on Ebay and people have them in their gardens but I think this was a much better use. 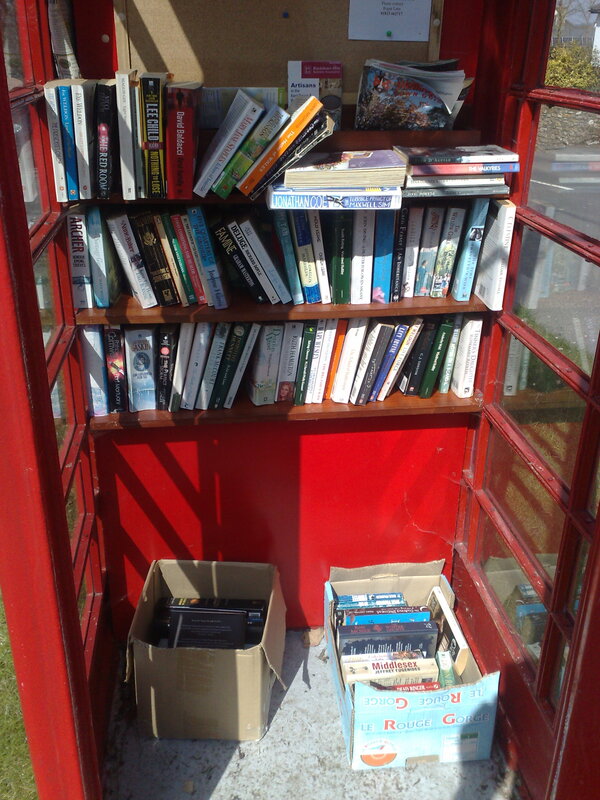 We have seen little libraries in pubs but this is the first one I have seen in a phone box. 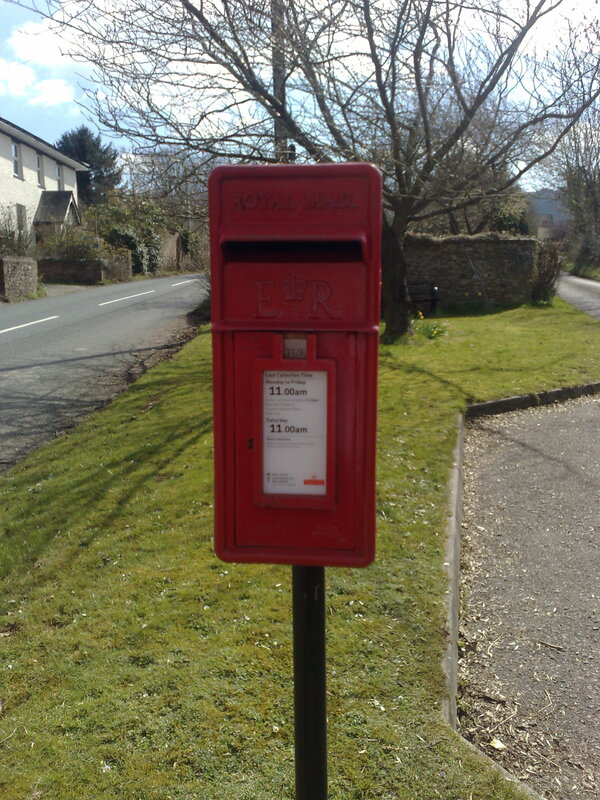 The little post box was still there and at one time the phone box and post box would have been at the centre of the village or hamlet. the post box has the initials ER which would indicate it was put up in the reign of the current Queen post 1953.